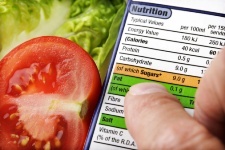 A key piece of dietary health advice is to read the labels on food that you purchase. That way you understand its nutritional pluses, and minuses. A new study found that women who read food labels weigh nearly four kilograms (kg) less than those who don’t. The health breakthrough suggests that being cognizant of what’s in your food is a preventative step against obesity. The study found that consumers who read labels have a body mass index that is 1.49 points lower than those who shop without considering labels. This equals nearly a four-kg reduction in an adult woman who weighs on average 74 kg and is on average 1.62 cm tall. RECOMMENDED: How reading could help you shed pounds. The information comes from the U.S. Centers for Disease Control and Prevention, gleaned from 25,000 observations on questionnaires. First they looked at the profile of people who read nutritional labels, and then they looked at their weight. — Smokers pay far less attention to food labels. This may likely be because they know their lifestyle is not so healthy, so they are less concerned about the nutritional content of food. — People who lived in cities took nutritional information into account the most. — The more educated a woman, the more likely it was for her to read food labels. — For men, 58% habitually or always read the information contained within nutritional labels. — For women, that figure is much higher, at 74%. The associated impact on weight and body mass index was higher among women. This is important information to have, because, if you read food labels closely, you can help manage your own weight better. Look closely at the calorie count, the amount of sugar, number of carbohydrates, and the percentage of total fat that is saturated. These are mostly negative things. Then look at the nutritional boost you get out of a food. If it’s swayed too much to the negative, then reconsider whether you need that product. Reading labels will help you decide sometimes which brand to go with regarding the same food. Make sure you look at the top of the food label to see if it is measuring the entire product, or half of it, or two servings, or what-have-you. Any good diet is complemented by a quick scan of food labels.